Kratom or also Mitragyna Speciosa is a very popular plant that comes from Southeast Asia and is used by many people for its powerful effects. Some effects from kratom could be mood enhancing, energy boosting and also pain relief. There are many different strains of Kratom and it’s sometimes difficult to understand what strain you need to use. Every color has a different effect on you mentally. 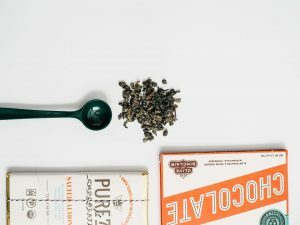 It’s overall known that, for example, White Vein Kratom gives you a Nootropic-like effect and people have been using it when working for stamina and focus boost. Green Stamina is known for its powerful energy effects and Red for its pain relief and sedative effects. So, now we talked about the different strains. Let’s get on with the best kratom dosage for every strain. First of all, you need to know that the best dosage is very personal. Every individual can react differently to a strain or dosage. That’s why it’s very important for you to start SLOW on the first time using Kratom. My advice to first time Kratom users is to start with 1-1,5 gram. This dosage is very minimal but it can give you great results. If you do not feel anything on this dosage, you can up the dosage with another 0,5-1 gram. Researchers found out that a kratom dosage of 20mg/kg was very effective. That means a dosage of 1.0-2.0g kratom for an average human. Note: This is only for first-time users. If you are an experienced user you can take more, but I will explain later on. 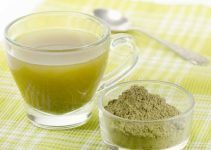 If you aren’t sure how to take kratom, check out my full guide. 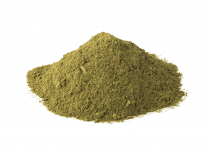 Some people also like to mix different strains of kratom to get an even better effect. Some people even swear by it. It’s very important to find your personal kratom dosage that works best for YOU. That’s why it’s so important to talk to experienced Kratom Users like myself. You will feel the effects of kratom within 15-20 minutes. The first effects can vary from increased Energy to Concentration. Experienced users of Kratom already know the effects and know what strains they like. When you use kratom every day your body will develop a tolerance to it. This means that Kratom isn’t as effective as when you used it for the first time. For example, when you drink coffee every day, your body will get used to it and you won’t get the same effect anymore. That’s why people going to drink even MORE coffee. It’s the same for Kratom, your body will get used to it and will lose the effects if you do not rotate enough. There is something that we can do about it! It’s really important to rotate between strains when you use it every day. Is it that simple? Yes, it is. This is a really EASY to use Kratom Dosage guide for experienced users. Again, it’s really important to feel and adjust your dosage on how you feel. Personally, I like to rotate between Red Bali and Gold Bali. Let me show you how I spread my kratom. I do also take 2 days per week off. As you can see, I’ll take kratom 2 days in a row then take a day off. This helps me a lot when it comes to tolerance, I suggest everybody give it a try. It can be quite frustrating to find your personal ‘best dosage’. But when you find your sweet spot you will definitely benefit from it. It’s also important to rotate strains so you don’t build a tolerance for it. First-time users need to start low with the dosage and find the sweet spot. When you find the perfect dosage you can rotate and even mix strains. 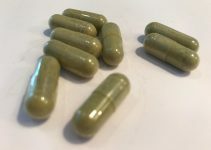 I’m sure this guide to Kratom Dosages will help you guys out. Always make sure to buy your kratom from a reputable source. 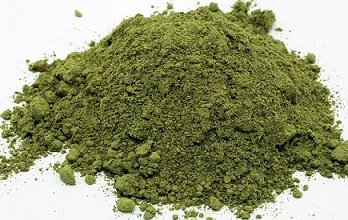 It’s important to get good quality Kratom. Some sources have been reported with selling low-quality kratom. My sweet spot is between 3 to 5 grams. How much kratom do you guys take? Hi Ferdi, usually i’ll have 3,5 grams.